Last night at the Open Meeting in the Blues Bar, Chester FC’s Community Trust unveiled its vision for a new £1.6 million community sports hub in Chester. Subject to planning, the scheme will include a new full size floodlit 3G pitch, improvement of the existing grass pitches, a new Clubhouse with changing rooms and community facilities, refurbishment of the existing Pavilion to include an education suite and additional car parking and access to the site. The sports hub will provide much needed facilities for grassroots clubs and leagues, as well as delivering wider community benefits including improved health and wellbeing, increased participation in sport and new employment and education opportunities. The council is investing in the project as part of its £2 million commitment to improve football facilities across the borough with additional funding from national governing bodies and section 106 agreements. Businessman Stuart Murphy has agreed to donate £200,000 to the scheme and the Community Trust now aims to raise £300,000 through public donations, fundraising events and working with local businesses to bring the plans to fruition. “King George V is a prominent site in Blacon but it is underused and in need of improvement and investment. The sports hub will address this and breathe new life into the area. 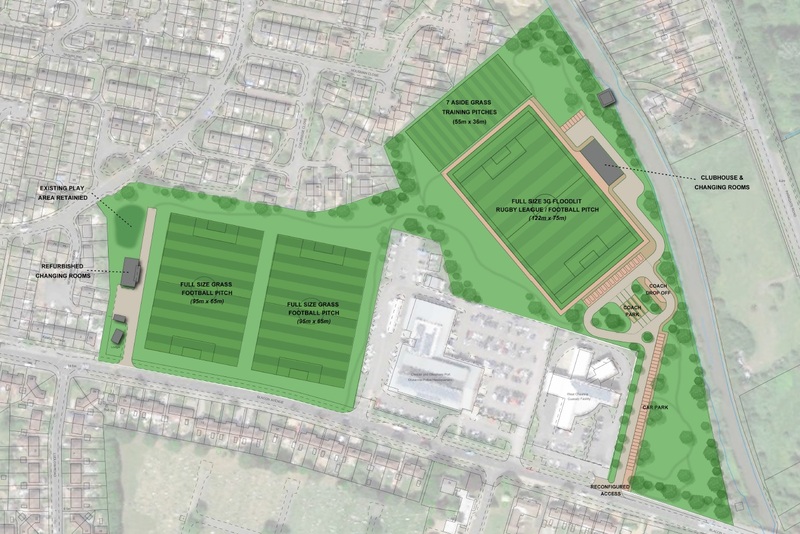 Preston-based Frank Whittle Partnership (FWP) has been appointed to develop a masterplan for the site and the Community Trust will now be consulting with local residents, clubs, leagues and partners on the proposed scheme. Councillor Louise Gittins, Cabinet Member for Communities and Wellbeing, said: “The Council is working with Chester FC Community Trust to improve facilities at King George V playing fields in Blacon. Donations to the project can be made at https://www.justgiving.com/campaign/kgvsportshub.